As Common Core Standards become more prevalent in your class, the greater the need there is to ensure that students are grasping the necessary skill elements. But how do you assess their competency and comprehension of each required standard? With our new rubric charts. Common Core identifies three writing styles that students need to grasp: persuasive, informative/explanatory, and narrative. We have found that a majority of teachers typically start with persuasive, so we are creating those materials first, for grades K-5. Stay tuned in the following months for your informative/explanatory and narrative rubric charts – there’s more to come! 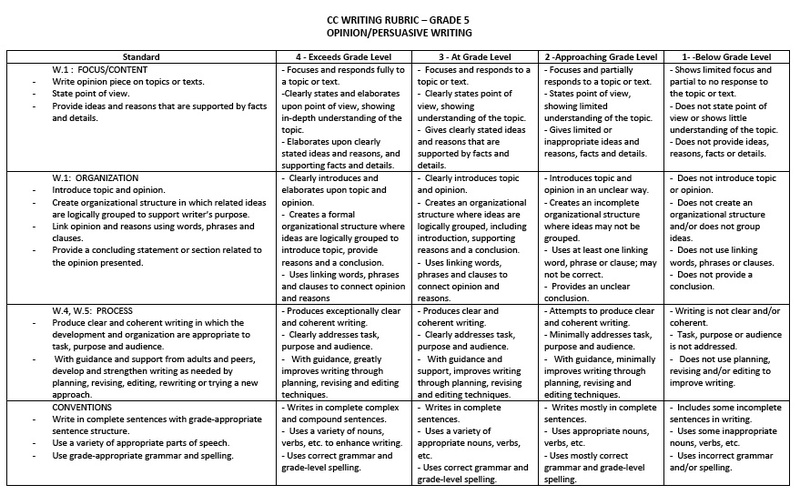 The new rubric charts support materials found on abcteach, as well as your current Common Core worksheets. Let’s start on the site and take 5th grade – Writing as an example. Here, you’ll find a variety of items, including your rubric, an explanatory poster, and a packet of practice sheets with a student mastery checklist. 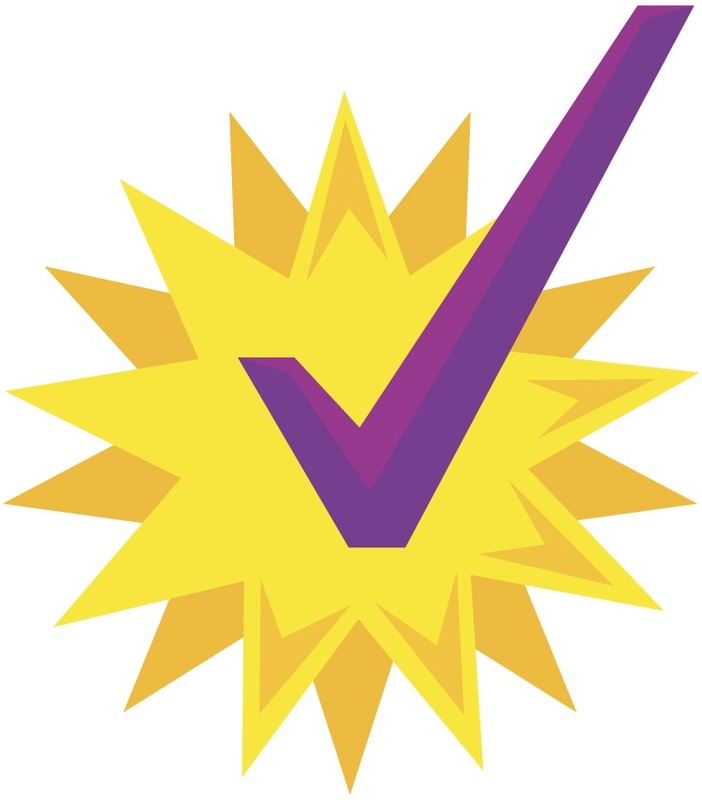 The student checklist is a great tool as it is aligned with the rubric, and can be used in conjunction. Students simply check off that they’ve completed the work, and then the rubric provides your final overview assessment. 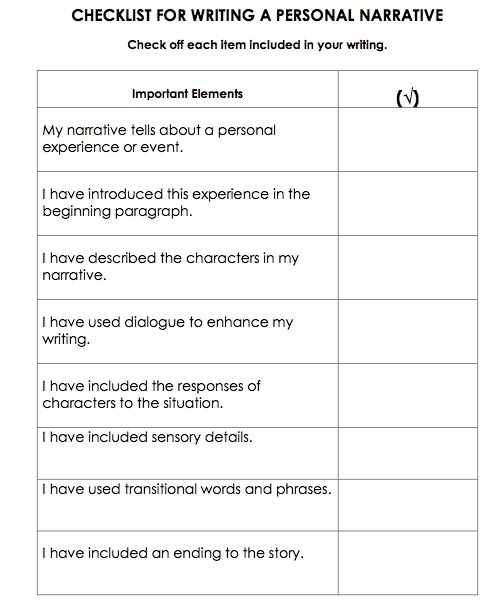 *Note: Persuasive Writing rubrics are also designed to be used with Narrative checklists; this is displayed in the example below. We hope that you enjoy our new rubrics and find them useful. Common Core Standards can be ambiguous and tedious at times (not to mention frustrating). Our rubrics are designed to provide a clear definition of what you’re looking for and what you’re grading, with the hopes of making the process faster and easier. As always, please let us know if you have any questions, comments, or suggestions on our materials. We’re here to help! I would like to get the rubrics for 2nd grade common core but I can’t figure out where to go to get to them. Can you help me please? Thank you for writing. The 2nd grade writing rubrics is found on the member site in the Common Core ELA section, Grade 2, Writing. Here is the direct link for you. Please let us know if there is anything else that you need. We hope it serves you well!